On Monday, Theresa Simendinger will share her journey to Shishmaref, Alaska, a small Threatened Island of Artists and Hunters. 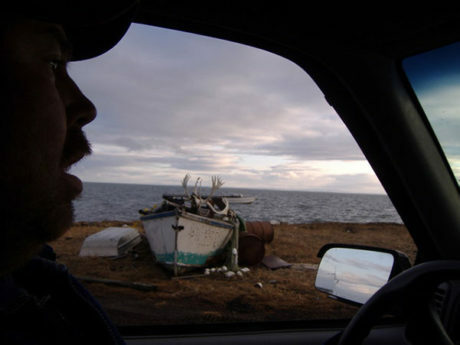 Shishmaref is a town of about 600 people on a small barrier island 5 miles off the coast of Alaska and just south of the Arctic Circle. The island is about 2 miles long and about 1/4 mile wide. 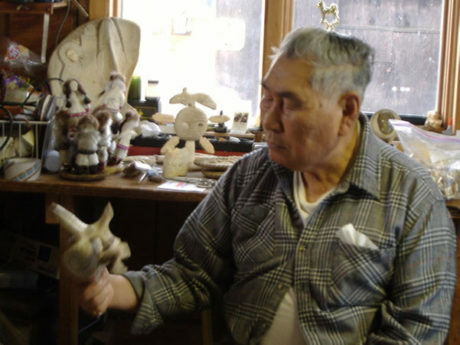 Inuit people have called it home for 400 yeas. Currently less than 600 still do. Theresa traveled there on a buying trip to find art for Friday Harbor’s Native Art Gallery: Arctic Raven. Monday, December 3rd at 7:00 pm. San Juan Island Library.